Start off your day on the right foot with pumpkin pie overnight oats packed with nutrition, health, loads of autumn flavor and some chocolate! Pumpkin needs no calendar, does it? Autumn begins right on the day when we crack open that first can of gooey and mushy (in a delicious way) pumpkin puree. 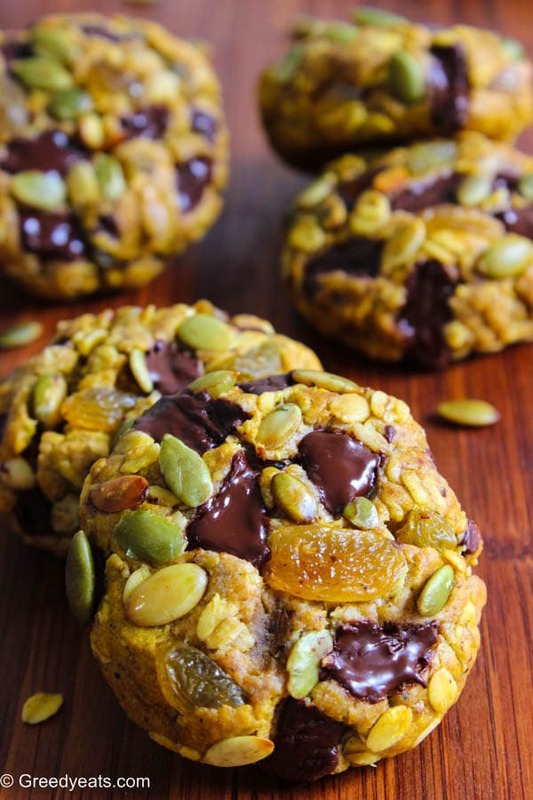 Pumpkin will know no seasons with these soft and chewy oatmeal pumpkin cookies stuffed with chocolate chunks, golden raisins and pepita seeds! I’m tickled pink pumpkin to bring you today’s pumpkin cookie recipe! Super thick but not cakey at all. Cakey is for cakes and cupcakes anyway! When it comes to oatmeal pumpkin cookies, a hearty bake, perfectly chewy texture and a soft center is what we are after…. 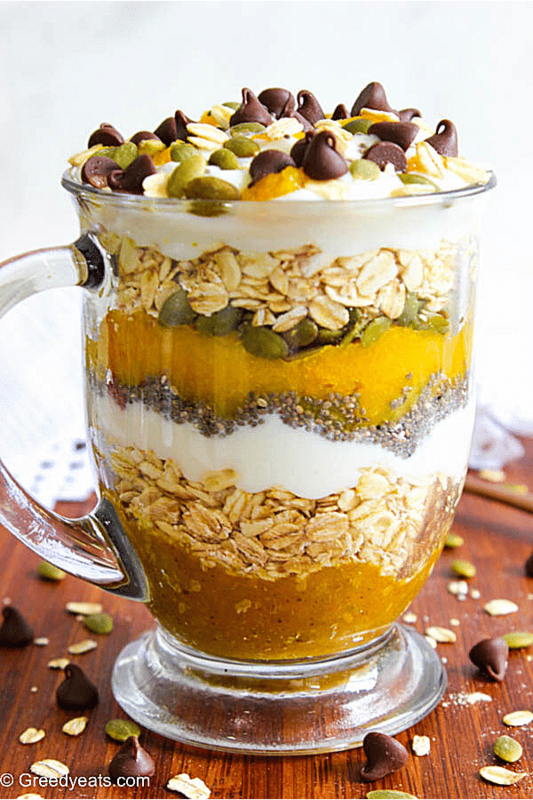 Super fun and easy overnight oatmeal in a jar for two. 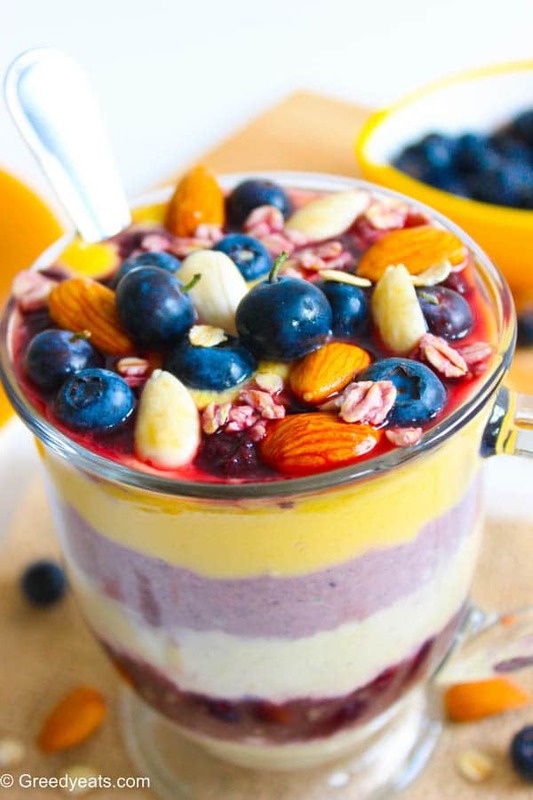 Flavor packed with fresh mangoes and blueberries. Such a bright and convenient start to a hot summer morning! I am slightly confused about what to call these cookies. A dessert? My breakfast? Some snack? Or a healthy treat? These cookie cup are all of the above and more to me. These are so yum that these barely feel healthy. Did I ever talked about how I want my healthy bakes to taste like? I don’t permit them to taste healthy. That can’t happen in my world, ever!